In London, buses will start in July accepting cards only – no more cash. 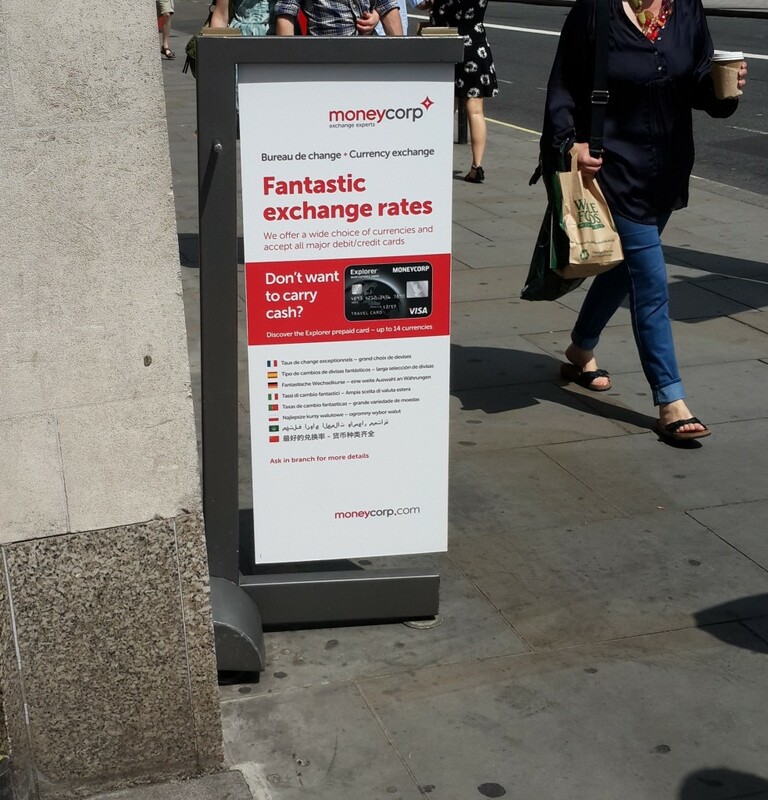 Currency Exchanges are now offering cards instead of cash that they market as being safer in travel. In Manchester, all the shops on Chorlton Street will no longer accept cash – only cards. This is a test to see if society is ready for the change. This is a major effort to move in preparation for the cashless society. While the goldbugs have been touting that gold will rise and the dollar will collapse because of fiat money, technology has passed them by making their arguements barbaric relics of the past. The future role of gold may be as a medium of exchange not as an alternative to paper money, but in the elimination of paper money gold may become the currency of the underground economy – not Bitcoin.